As of next spring, Makhar Vasiev, who was head of the Kirov ballet until Yuri Fateyev took over, will now be the new head of the Bolshoi in place of Sergey Filin. Vasiev had been artistic director at the Mariinsky from 1995 until March 2008 when he left to head La Scala. His post at the Bolshoi begins March 18, 2016. The Australian Broadcast Corporation runs a news item from Agence France Presse regarding the appointment of Makhar Vaziev as Bolshoi Theatre Ballet Director. Roslyn Sulcas reports on the Vaziev appointment for the New York Times. Wendy Perron discusses the Vaziev appointment for Dance Magazine. Ismene Brown discusses the state of affairs at the Bolshoi for The Arts Desk. How Much Beauty Can One Handle In One’s Lifetime ! About tonight, I really don’t know where to begin. There was so much greatness. I’ll simply say a few words. At any given moment, she casually delivered some of the most beautiful motion and amazing artistry that a human being is capable of. 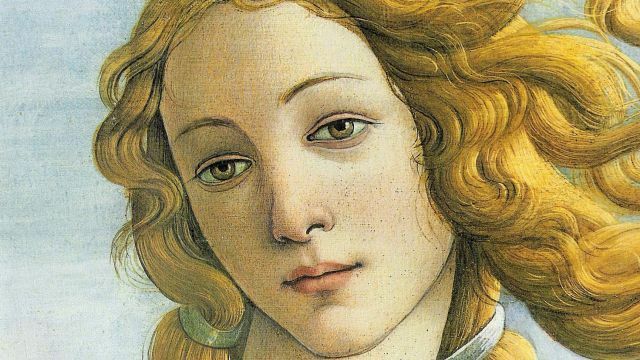 Her perfection and refinement often reached the level of the world’s greatest works of art. I’ve seen the Bolshoi perform La Bayadere several times, but never on its own stage. This has to be seen if at all possible ! It’s a very large stage and the Corps de Ballet, at the entrance of Shades, filled it with Mesmerising perfection. Denis Rodkin, as Solor, was just that. His jumps sailed to amazing heights and then rose even higher. They hung in the air. Maria Allash was probably the most loveable Gamzatti that I’ve ever seen. She did everything with heart touching drama and beauty. Bravura is something that the Bolshoi is probably unequaled at. Vyacheslav Lopatin, as The Bronze Idol, flew into the air with outstanding control and slow motion highlighting. At the end he sailed off the stage like a jet, not effected by the curtains at all. Amazing ! The “Dance with drum” featured Kristina Karasyova, Denis Medvedev and Denis Savin. Once again pure Bolshoi ‘craziness’ that would blow you out of the theatre ! The Bolshoi must surely be the most theatrically exciting of the great ballet companies —- and probably, along with the Mariinsky, the artistically greatest ! The audience can get almost as exciting as the performers. At times it seems to be on stage, cheering the artists on, even in the middle of their solos and duets. It's a very intelligent audience and also an extremely supportive one. Possibly The Finest Series of Ballet Performances That I’ve Ever Seen ! The Corps de Ballet —- as much as anything, lifted it all into the heavens. I’m leaving tomorrow, but I’ll try to write some more at another time. She now represents the perfection of the art. She’s artistically beautiful and technically exact. She doesn’t seem to ever make mistakes. She can be compelling in character to the extent that she goes beyond herself, into the area that I would call theatrical ‘genius.’ I remember her performance of Giselle from several years ago at the Mariinsky Festival that I called the best performance of ‘Anything!’ that I’d ever seen. This year, at the end of her La Bayadere, about 10% or more of the ground floor audience rushed to the stage. The audience is highly aware that it’s watching artistic greatness from one of its own and the response is as knowingly appreciative and acknowledging as it’s proud and instinctive. She received five or six highly applauded curtain calls, the most enthusiastic response from all that I saw. They both have a lot in common. First of all, their dancing is extremely beautiful. They are very likeable. They are not tall women, but they have a huge stage presence. Both have an airiness that is just lovely. Their shorter limbs are still alive with beauty and interest. Anna Nikulina performed the first night, being slightly looser and more youthful. Ekaterina Krysanova is very technically sound. She showed this the most, and was probably the most secure of all the Nikias, in the final series of spins across stage that end abruptly to be instantly followed by returning backward in arabesque. This is the bravura highlight for the women, especially Bolshoi women, and they carry it to the limit, racing across the stage. Svetlana Zakharova was also very secure with this as she is with everything. Anna Nikulina, Ekaterina Krysanova and Maria Allash all radiated this. You expect it from Nikia, the heroine Temple Dancer, but Maria Allash even brought it to her Gamzatti, the Rajah’s revengeful daughter, and it worked with poetic fineness. Each night she starts joyfully innocent, falling immediately in love with Solor, to be heartbroken to discover that he loves Nikia. Even while taking revenge on Nikia, she is a heartbroken innocent, at times forcing herself to act out the role that she must live as a Rajah’s daughter. Her second evening was slightly more royal and less sympathetic. Still, both nights, she was quite loveable in many ways. You do feel for her. The confrontation between Ekaterina Krysanova, Nikia, and Maria Allash, Gamzatti, is a meeting of innocents. It’s poetically deep and emotionally touching. Svetlana Zakharova, as Nikia, and Maria Alexandrova, as Gamzatti, were no innocents. They wove mature circles around their adversaries. Svetlana Zakharova, although the pure Temple Dancer, knew exactly what was happening at all times and reacted powerfully. Maria Alexandrova was just theatrically brilliant ! She offers Nikia her diamond bracelet and, when Nikia refuses it, she drops it to the floor with an impish arrogance as if it were a meaningless piece of junk. She is sharp as can be at this sort of theatrical prowess. No actor that I’ve seen can do it better. In addition, you have to love her, no matter whom she’s portraying. They performed as well as I’ve ever seen. Their final Shades Act was dream perfect. They moved totally together, like heavenly waves. They positioned themselves like goddesses. I can’t praise them enough. They, Even With All The Exceptional Solo Performances, Were, As Much as Anything, The Ones Who Carried Each Evening Above and Beyond. The lead male dancers, Vladislav Lantrato, Denis Rodkin and Mikhail Lobukhin, for me, were most noteworthy for their feats of bravura. One exceptional element was their very impressive jumps. The audience couldn’t get enough ! Also, what’s extremely important, and can go completely unnoticed, especially by me, is the partnering, the way that the ballerina is supported. I have to assume, because of the outstanding ballerina performances, that the partnering must have been of the highest order. The Bronze Idol always brings the house down. This is followed by the group of ‘crazies’ in “The dance with drum.” If you were starting to nod off, forget it. You were wide awake for the rest of the evening. In fact the entire evening moves along with liveliness and beauty. At this, the Bolshoi is perhaps unequalled. The dancing was extremely beautiful and outstanding throughout. It also seemed so precise, secure and clear. I don’t really pay close attention to technical detail, but this dancing seemed so correct and so easy to read. What brings me back to Russia year after year ? The wonderfulness of the ballet, most deeply sensed by being in its own home. And the day to day life — How warm and heart touching individuals can be, true everywhere, but especially felt by me here. The first thing that I did after getting to London was to go see the Rembrandts at The National Gallery. Is there a connection between that and where I just came from ? I sometimes really think so. In a year I’ve seen a group of performances that have achieved such a level of otherworldly Perfection that I would call them Masterpiece Quality performances. It’s as if one of these amazingly beautiful, world famous Masterpiece paintings had come to life and that their essence had been sustained throughout an entire performance. The first such performance was by Maria Kochetkova last summer with ABT dancing Swan Lake. She is with the San Francisco Ballet, but I believe that she was trained at the Bolshoi school. The second ones were by Oxana Skorik (Mariinsky) performing Raymonda twice at Costa Mesa, California and, very recently, La Bayadere at the Mariinsky Festival in Saint Petersburg. The most recent was by Svetlana Zakharova performing La Bayadere at the Bolshoi. I’ve already mentioned these Bolshoi La Bayadere performances above and I’d like to return to them at another time. That kind of says it all. There’s nothing that I can really single out for the moment to account for this and even if I could, “a picture’s worth a thousand words.” She would have to be seen and as usual I wouldn’t let any video, as well as it might show her, be the final word. She has a youthful easiness. She’s not over polished, no frills. Her hands float. Her arms float. She floats, even while spinning. Somewhat similar to what I’ve just written about Anna Nikulina, is how I felt almost ten years ago when I first saw Ekaterina Krysanova. She performed Cinderella and she was, in so many ways, Cinderella. She was a childlike and fairylike apparition. As a dancer she was of the air. I wrote about her then and have returned to that description many times since. It’s one of my favourite recollections of all that I’ve seen on the performing stage. For me, it remains her ideal creation and what I search for each time that I see her. My thoughts at the time can be seen here, about halfway down the page. She is now a more mature artist and a Principal dancer. She is often noted for her virtuosity, even a sort of bravura. I’ve not had the chance to see her very much. Her recent La Bayadere performance is the closest that she’s come to my very fond memories. With it’s weighty theme it’s quite a distance from Cinderella, but it’s dance is often of the heavens, especially in the famous Act II Land of the Shades. In ballet I sometimes separate the remarkable beauty of the dance from the story. Her technical ability was very impressive. Her maturity was very evident. What I liked very much was how she established an aura of perfected beauty, much like Svetlana Zakharova. Her images remain very strong in my mind. Perhaps the strongest and finest was when she stood above the stage at the very end. Her appearance was dreamlike perfect. It summarised all that she had done so well. And during much of the evening, she was, once again, of the air. I continue to hold dear what she did the first time that I ever saw her. This is my ideal for her. In this performance she came as close to that as I’ve seen. She was beautiful !